Rice University engineers have figured out how soil contaminated by heavy oil can not only be cleaned but made fertile again. How do they know it works? They grew lettuce. While large-volume marine spills get most of the attention, 98% of oil spills occur on land, Alvarez points out, with more than 25,000 spills a year reported to the EPA. That makes the need for cost-effective remediation clear, he said. "We saw an opportunity to convert a liability, contaminated soil, into a commodity, fertile soil," Alvarez said. The researchers put soil samples from Hearne, Texas, contaminated in the lab with heavy crude, into a kiln to see what temperature best eliminated the most oil, and how long it took. Their results showed heating samples in the rotating drum at 420 C (788 F) for 15 minutes eliminated 99.9 percent of total petroleum hydrocarbons (TPH) and 94.5 percent of polycyclic aromatic hydrocarbons (PAH), leaving the treated soils with roughly the same pollutant levels found in natural, uncontaminated soil. "We also learned we can do it with less energy than other methods, and we have detoxified the soil so that we can safely put it back," he said. Heating the soil to about 420 C represents the sweet spot for treatment, Zygourakis said. Heating it to 470 C (878 F) did a marginally better job in removing contaminants, but used more energy and, more importantly, decreased the soil's fertility to the degree that it could not be reused. "We knew we had a process that effectively cleans up oil-contaminated soil and restores its fertility," Zygourakis said. "But, had we truly detoxified the soil?" To answer this final question, the Rice team turned to Bhagavatula Moorthy, a professor of neonatology at Baylor College of Medicine, who studies the effects of airborne contaminants on neonatal development. Moorthy and his lab found that extracts taken from oil-contaminated soils were toxic to human lung cells, while exposing the same cell lines to extracts from treated soils had no adverse effects. The study eased concerns that pyrolyzed soil could release airborne dust particles laced with highly toxic pollutants like PAHs. Following a series of regulatory delays and court rulings, EPA’s 2017 Amendments to the Accidental Release Prevention Requirements for Risk Management Programs at 40 CFR Part 68 (also known as the RMP Rule) became effective as of September 21, 2018. Because the EPA delegated implementation of the federal RMP rules, many of the 2017 amendments are incorporated by reference in New Jersey’s Toxic Catastrophe Prevention Act (TCPA) rules, and therefore impact TCPA registrants. Facilities in New Jersey regulated by the TCPA Program Rules, N.J.A.C. 7:31, are impacted by this rule change. While certain requirements introduced in the EPA’s 2017 Amendments took effect immediately on September 21, 2018, most of the incorporated amendments have compliance dates in March 2021. In addition, on May 30, 2018, the EPA proposed a separate RMP Reconsideration Rule to revise and rescind some of the 2017 Amendments, including many with future compliance dates. Should these proposed amendments become effective, the NJ DEP will update TPCA guidance as necessary. To assist the regulated community in understanding how they are impacted by the RMP Rule, including the effective dates of the 2017 Amendments, the DEP has prepared a table summarizing the EPA’s 2017 Amendments. The table indicates which provisions are incorporated by the TCPA Program, the actions required by TCPA registrants, and the time frame to complete those actions. On January 28, 2019, the Washington Department of Ecology adopted amendments to Chapter 173-303 WAC, Dangerous Waste Regulations. These regulations set standards for the safe management of dangerous wastes. Ecology amended specific sections of the dangerous waste regulations to incorporate new federal hazardous waste rules. We restructured the regulations for easier use and improved compliance, similar to the EPA changes. These changes to the dangerous waste regulations affect most dangerous waste generators. and how they manage their dangerous waste. The rule changes also provide generator flexibility in managing wastes in a more cost-effective and protective manner. Amendments include several state-initiated technical changes and editorial corrections, clarifications and other changes. Changes to the PCB waste exclusion reducing duplicative regulation of state-only PCB wastes also regulated under the Toxic Substances Control Act 40 CFR Part 760. Above-ground signage requirements for underground dangerous waste tanks. U.S. 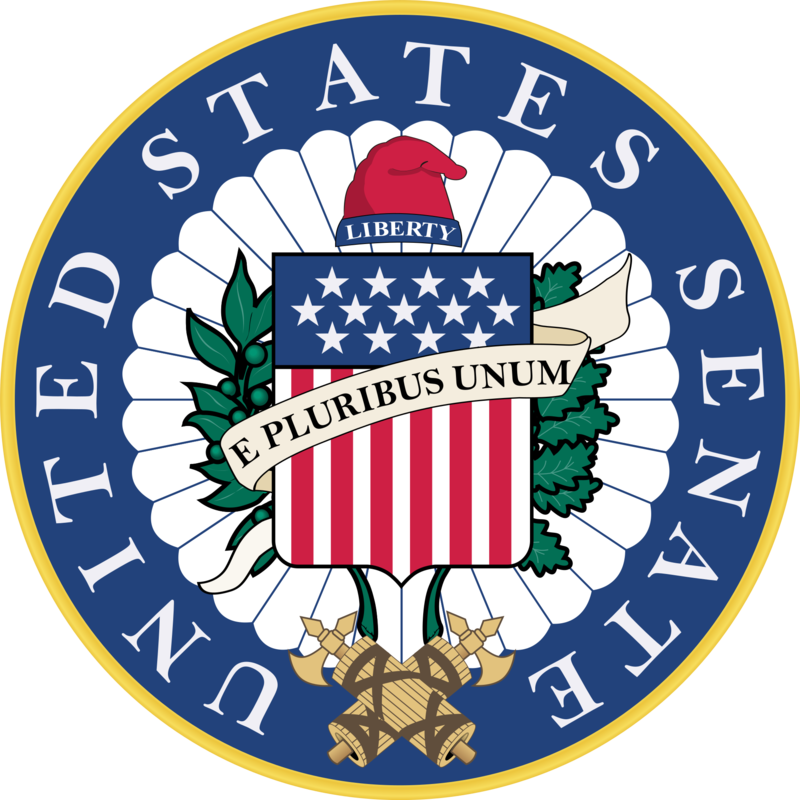 Senators Tom Carper, Tammy Duckworth and other Democrats on the Environment and Public Works Committee have urged EPA Acting Administrator Andrew Wheeler to reopen public comment periods for all pending regulatory decisions, extend those that are currently open and reschedule all public hearings that were cancelled due to the shutdown. For parts of the 35-day government shutdown, many of the federal websites that collect public comments were unavailable or inaccessible, preventing the American public from receiving the normal amount of time to review and comment on new regulations. A Santa Barbara, CA contractor has agreed to pay $100,000 and is permanently barred from work with the state’s Underground Storage Tank Cleanup Fund under a settlement with state regulators over fraud allegations. The settlement -- with Kurt Hayden, Julie Hayden, and Hayden Environmental, Inc. (HEI) dba TKO Enviroservices., located in Santa Barbara, -- follows a history of allegations and convictions for fraudulent activity dating back to 2012. “The Hayden’s are an example of why permanent disqualification is an essential enforcement tool when we discover fraud in a fund intended for critical environmental cleanup activities,” said Yvonne West, the Director of California’s State Water Boards’ Office of Enforcement. The company, which provided investigation and remediation services for sites contaminated by leaking underground storage tanks, including former gas stations, had worked at more than 30 sites in Santa Barbara and Ventura counties. 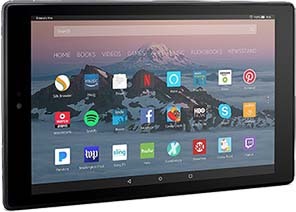 It has had multiple run-ins with law enforcement and State Water Board Resources Control Board investigators on a variety of fraudulent billing activities. In May 2013, Kurt Hayden pled guilty to a felony charge and paid $1.6 million for submitting false documents to the Cleanup Fund. See press releases related to both criminal and civil allegations, from May 2012, July 2012, including a press release on the criminal conviction June 2013. With the addition of the disqualification authority from Senate Bill 445 in 2014, the State Water Board now has the ability to prevent consultants from continuing to participate in the Cleanup Fund when we identify these types of violations. Under the terms of the agreement with the State Water Board, Hayden Environmental will pay $100,000 in penalties and is debarred from future work overseen, directed, funded, submitted to or administered by the State Water Board. In addition, the principals, Kurt and Julie Hayden, are also disqualified from all work involving the State Water Boards. The Hayden’s are alleged to have made misrepresentations to the State, including: negotiating and receiving a credit for a portion of crane service costs, but submitting the full cost invoice to the Cleanup Fund; altering electricity bills to hide costs not eligible for reimbursement from the Cleanup Fund; billing staff at higher project management rates when they do not possess the requisite education or experience; and charging to lease storage space even though the expense was unrelated to the claim. The Santa Barbara District Attorney’s office filed a criminal complaint on Sept. 28, 2017, against Julie and Kurt Hayden. On Jan. 24, 2019, Kurt and Julie Hayden plead guilty to one count each for a misdemeanor violation of Health and Safety Code section 25299.80.5. The settlement agreement can be viewed on the Office of Enforcement’s website. For more information on the State Water Board’s efforts to prevent, investigate and prosecute cases of fraud, waste and/or abuse against the Cleanup Fund, see the fact sheet. Also, the State Water Board maintains an online list of disqualified businesses and persons banned from working for the State Water Board. Sunoco Pipeline L.P. has agreed to pay civil penalties and state enforcement costs and to implement corrective measures to resolve alleged violations of the Clean Water Act and state environmental laws by Sunoco and Mid-Valley Pipeline Company stemming from three crude oil spills in 2013, 2014, and 2015, in Texas, Louisiana, and Oklahoma. 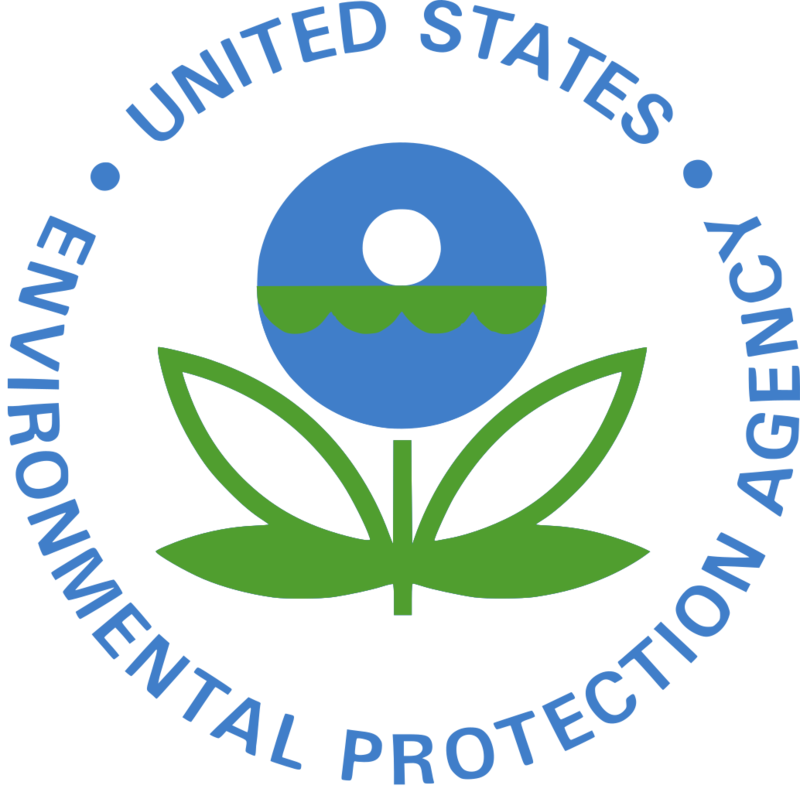 The Department of Justice, the EPA, and the Louisiana Department of Environmental Quality (LDEQ) jointly announced the settlement. Under a proposed consent decree lodged in the U.S. District Court for the Western District of Louisiana, Sunoco will pay the United States $5 million in federal civil penalties for the Clean Water Act violations and pay LDEQ $436,274 for civil penalties and response costs to resolve claims asserted in a complaint. Additionally, Sunoco agreed to take actions to prevent future spills by identifying and remediating the types of problems that caused the prior spills. This includes performing pipeline inspections and repairing pipeline defects that could lead to future spills. Sunoco is also required to take steps to prevent and detect corrosion in pipeline segments that Sunoco is no longer using. Mid-Valley, the owner of the pipeline that spilled oil in Louisiana, is responsible, along with Sunoco, for payment of the civil penalties and state costs relating to the Louisiana spill. The proposed consent decree, lodged with the court, is subject to a public comment requirements and court review and approval. The owner of the now-closed Beta Chem Laboratory in Lenexa has been ordered to pay $544,287 in restitution for storing hazardous waste without a license, U.S. Attorney Stephen McAllister said. Ahmed El-Sherif, 63, Leawood, Kan., was found guilty in a bench trial of storing hazardous waste without a license. El-Sherif started Beta Chem in the mid-1990s, which he owned and operated. On October 4, 2013, after issuing an Emergency Order to Seize and Secure Radioactive Materials, KDHE took control of Beta Chem and secured the facility. The Criminal Investigation Division of the EPA executed a search warrant at Beta Chem on Jan. 22, 2014, where agents discovered numerous containers containing hazardous wastes and contaminated with radiation. During trial, U.S. District Court Judge Julie A. Robinson found that by 2012 Beta Chem had become a defunct operation and hazardous chemicals were being stored at the facility in lieu of a thorough decommissioning and decontamination process. Robinson found El-Sherif not guilty on a charge of obstructing a federal investigation. El-Sherif will serve two years on federal probation. McAllister commended the EPA Criminal Investigation Division and the Environmental Crimes Section of the Department of Justice for their work on the case. Four Audi managers, including a former member of Audi AG’s management board, were charged in an indictment filed on Jan. 17 for their roles in the nearly decade-long conspiracy to defraud U.S. regulators and U.S. customers by implementing software specifically designed to cheat U.S. emissions tests in tens of thousands of Audi “clean diesel” vehicles, the Justice Department announced. Principal Deputy Assistant Attorney General John P. Cronan of the Justice Department’s Criminal Division, Deputy Assistant Attorney General Jean Williams of the Justice Department’s Environment and Natural Resources Division, U.S. Attorney Matthew Schneider of the Eastern District of Michigan, Assistant Administrator of the EPA Office of Enforcement and Compliance Assurance Susan Bodine, and Special Agent in Charge Timothy R. Slater of the FBI Detroit Field Office made the announcement. Richard Bauder, 69, former head of Audi’s Diesel Engine Development Department; Axel Eiser, 57, former head of Audi’s Engine Development Division; Stefan Knirsch, 52, former head of Audi’s Engine Development Division and a former member of Audi’s Management Board, and Carsten Nagel, 50, former head of Diesel Certification, were charged in the Eastern District of Michigan with one count of conspiracy to defraud the United States, to commit wire fraud and to violate the Clean Air Act, along with multiple counts of wire fraud and multiple counts of making false statements under the Clean Air Act. All four are believed to be citizens of Germany. These individuals join Giovanni Pamio, 61, an Italian citizen, who was charged via criminal complaint in July 2017 and whose extradition from Germany is being sought by U.S. authorities. Pamio was formerly head of Thermodynamics within Audi’s Diesel Engine Development Department in Neckarsulm, Germany. According to the indictment, from in or about 2006 until in or about November 2015, Pamio led a team of engineers responsible for designing emissions control systems to meet emissions standards, including for nitrogen oxides (NOx), for Audi 3.0 liter diesel vehicles in the United States. 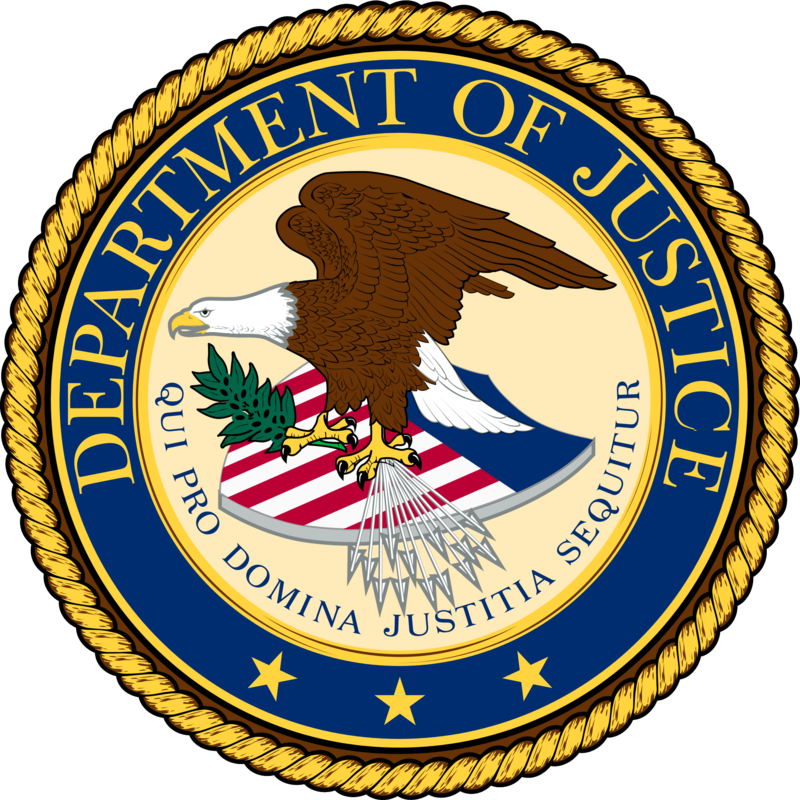 The indictment further alleges, when Bauder, Eiser, Knirsch, Nagel and Pamio realized that it was impossible to calibrate a diesel engine that would meet NOx emissions standards within the design constraints imposed by other departments at the company, they directed Audi employees to design and implement a software function to cheat the standard U.S. emissions tests. The co-conspirators deliberately failed to disclose the software function, and knowingly misrepresented to U.S. regulators and U.S. customers that the vehicles complied with U.S. NOx emissions standards, the indictment alleges. Bauder, Eiser, Knirsch, Nagel, and Pamio also are alleged to have marketed the Audi 3.0 liter vehicles to the U.S. public as “clean diesel,” when they knew that these representations were false. Audi’s parent company, Volkswagen AG (VW), previously pleaded guilty to three felony counts connected to cheating U.S. emissions standards. VW was sentenced in April 2017, and the company paid a $2.8 billion criminal penalty. An indictment is merely an allegation and all defendants are presumed innocent until proven guilty beyond a reasonable doubt in a court of law. The FBI and EPA-CID investigated the case. This case is being prosecuted by Trial Attorneys Christopher Fenton and David Fuhr of the Criminal Division’s Fraud Section, Senior Trial Attorney Jennifer Blackwell and Trial Attorney Joel La Bissonniere of the Environment and Natural Resources Division’s Environmental Crime Section, and White Collar Crime Unit Chief John K. Neal and Assistant U.S. Attorney Timothy J. Wyse of the Eastern District of Michigan. The Criminal Division’s Office of International Affairs also assisted in the case. The Department of Justice also extended its thanks to the Munich II Prosecutor’s Office in Munich, Germany, for its assistance. The Minnesota Pollution Control Agency (MPCA) and the Minnesota Department of Health (MDH) are investigating possible community exposures to an industrial solvent used by a manufacturer in White Bear Township. Water Gremlin Inc. at 4400 Otter Lake Road in White Bear Township, operates under an air quality permit from the MPCA to control air emissions from its production process. The company makes fishing sinkers and battery terminal posts. The MPCA requested on Jan. 14 that Water Gremlin voluntarily shut down part of their process. The request came after it was discovered that the company was emitting too much trichloroethylene (TCE) into the air. The company complied with the request on the same day, and the MPCA is investigating the extent and magnitude of the emissions and working with MDH to understand the potential health impacts. TCE is a solvent used to degrease metal parts during the manufacture of a variety of products. You can’t see or smell it in most cases. Breathing TCE, especially at high levels or over long periods of time, can cause negative health effects. More information about TCE can be found on MDH's TCE and Your Health webpage. The facility has pollution control equipment designed to limit TCE emissions, but the MPCA and MDH recently learned that the equipment was not functioning properly and may not have been for some time. The agencies are gathering information on how long the emissions occurred and at what levels. A map of the area of concern is available on the MPCA's Water Gremlin webpage. Meanwhile the facility has cooperated with the MPCA’s requests, the TCE line remains shut down, and the public is not being exposed at this time. It will remain shut down as long as necessary to protect public health. The MPCA and MDH are working jointly to assess the extent of exposures that may have occurred, the health risks from such exposures, and if any specific advice is needed for area residents and workers at the facility. Gov. Michelle Lujan Grisham has formally ordered that New Mexico will join the U.S. Climate Alliance, fully embracing the goals set by the 2015 Paris Agreement, aligning New Mexico with the U.S. governors and states that have committed to a climate-conscious future and moves to protect people, natural resources and cultural heritage. The governor also ordered the creation of a New Mexico Climate Change Task Force, calling on all state agencies to contribute to a statewide climate strategy and incorporate climate mitigation and adaptation practices into their programs and operations. Lujan Grisham, in an executive order, directly addressed the need for climate change mitigation and energy waste prevention, emphasizing the state’s responsibility and opportunity to reduce pollution that threatens human health and looms as an unprecedented humanitarian crisis within this lifetime. The secretaries of the Energy, Minerals and Natural Resources Department and Environment Department will co-chair the climate task force, comprised of a secretary or designee from each state agency. The task force will provide strategic direction for achieving a statewide reduction in greenhouse gas emissions, improved air quality, and other measures that will protect New Mexico’s vital natural resources, align with the Paris goals and keep New Mexico within what researchers have described as the upper bound of irreversible CO2 emissions. Those measures include adoption of approaches to reduce greenhouse gas and criteria pollutant emissions from light-duty vehicles sold in New Mexico; adoption of a comprehensive market-based program that sets emission limits across New Mexico; adoption of new building codes; and the identification of transmission corridors needed to transport the state’s renewable electricity. The task force, according to the order, will establish a list of initial recommendations and status updates to the governor no later than Sept. 15. Additionally, state agencies have been ordered to evaluate and implement policies that further achieve reductions in greenhouse gas pollution. EMNRD and NMED, in working with key stakeholders and legislators, will develop and bring forward legislation to increase New Mexico’s renewable portfolio standard and increase the state’s energy efficiency standards for electric utilities. Together, the two departments will also coordinate with the New Mexico State Land Office along with federal bureaus and agencies that manage land and natural resources across the state to advance clean energy priorities wherever possible. The Massachusetts Department of Environmental Protection (MassDEP) has issued an $8,280 penalty to Acton Research Corporation for violating the Massachusetts Hazardous Waste and Groundwater Discharge Permit Program regulations at its facility located at 15 Discovery Way, Acton. During an inspection of the company’s optical lens manufacturing facility in February 2018, MassDEP personnel observed that the company had exceeded the time limit for storing hazardous waste and failed to comply with hazardous waste container labeling, weekly inspection, and accurate manifest requirements. Acton Research was also discharging laboratory rinse waters to a septic system without a groundwater discharge permit. The company has since corrected the violations. 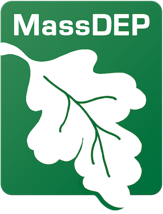 MassDEP assessed the $8,280 penalty in a recently finalized consent order. Acton Research will pay $2,070 of the penalty, and in lieu of paying the remaining amount, the company will conduct a Supplemental Environmental Project at a cost of $6,210. Under the SEP, the company will purchase a cabinet that will help to dry-out the coats, boots, gloves and other gear for the Acton Fire Department. Under an agreement signed with the EPA and the US Department of Justice (DOJ), an industrial shredding and recycling company in Greenfield, Mass. will phase out the processing of materials that lead to emissions of volatile organic compounds (VOCs) to the air. "It is very important that facilities carefully follow Clean Air requirements to ensure that people in the surrounding communities are able to enjoy healthy air quality,"said EPA New England Acting Regional Administrator Deborah Szaro. "Volatile organic compounds are a component of ground-level ozone or smog. Breathing air with higher levels of VOCs and smog can cause breathing problems and make people more susceptible to respiratory infection, especially for people who suffer from asthma and other lung diseases." Energy and Commerce Committee Chairman Frank Pallone, Jr. (D-NJ) and Environment and Climate Change Subcommittee Chairman Paul Tonko sent a letter to EPA Acting Administrator Andrew Wheeler yesterday requesting the immediate public release of all health and safety studies considered in the Draft Risk Evaluation for Pigment Violet 29, one of the first ten chemicals undergoing review in accordance with the Toxic Substances Control Act (TSCA). EPA has issued three technical guides to assist environmental professionals in scoping, data management and strategic sampling activities at hazardous waste sites. EPA intends for the guides to strengthen Superfund site characterization activities to facilitate stronger site remedy decisions and improved remedy performance, among other objectives. These documents address three recommendations from the 2017 Superfund Task Force Recommendations Report. View or download the guides and learn more about the Superfund Task Force at http://www.epa.gov/superfund/superfund-task-force-accomplishments#streamline. The Washington Department of Ecology is fining Intalco Aluminum LLC $27,500 for air pollution. The Ferndale facility exceeded its air permit 11 different times in 2017 and 2018. As a result, more fluoride and particulate matter was put into the air and surrounding environment. The pollution stems from disruption in Intalco’s manufacturing process, as the facility trained new personnel to replace experienced staff members who left ahead of a planned shutdown in 2016, which was later cancelled. Ecology toxicologists analyzed Intalco’s excess fluoride and particulate emissions that caused these violations and found they did not represent a threat to human health. However, releasing pollution above the limits in Intalco’s air quality permit impacts the environment and violates the law. In general, short-term exposure to fluoride in the air can cause irritation to nose, lungs, skin, and eyes. Particle pollution affects the airways and lungs. Children, the elderly, and those with chronic heart and lung disease (like asthma, bronchitis, and emphysema) are especially susceptible. Since the violations, Intalco has made progress: The facility’s emissions returned to compliance with the fluoride limits in May 2018, although it is still taking steps to come into compliance with its particulate emissions limits. The company can appeal the penalty within 30 days to the state’s Pollution Control Hearings Board.